What is Instrument-Assisted Soft Tissue Mobilization (IASTM)? 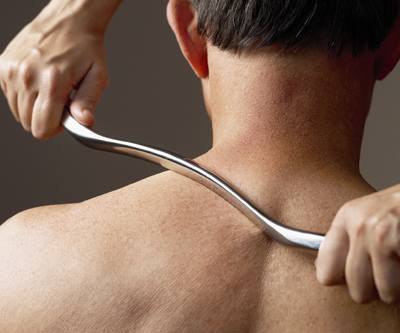 IASTM is an advanced form of myofascial mobilization- similar to deep tissue massage. It is used to detect and release scar tissue, adhesions, and fascial restrictions. This technique enables a clinician to locate adhesions and restrictions in the soft tissue through vibrations of the instrument. Once these areas have been identified, clinicians may then utilize the instruments to restore optimal function. Who can be treated with IASTM? Anyone! It is a great modality not only for treating injuries and chronic conditions, but also for preventative maintenance, recovery after a workout, and increasing range of motion in healthy patients. It is safe to use on the general population, as well as many pediatric and geriatric patients.